The world of baroque opera is a much maligned milieu with detractors from many directions. Many people can’t bear the da capo arias others find the histrionics uncomfortable. And my own reservation is the lack of vibrato, and very frequently the academic lifelessness of “historically informed performance”. Despite my infinite love for the material, I have sat through some dreadfully dull performances that did not do justice to the glorious music or the ornate vocal style. 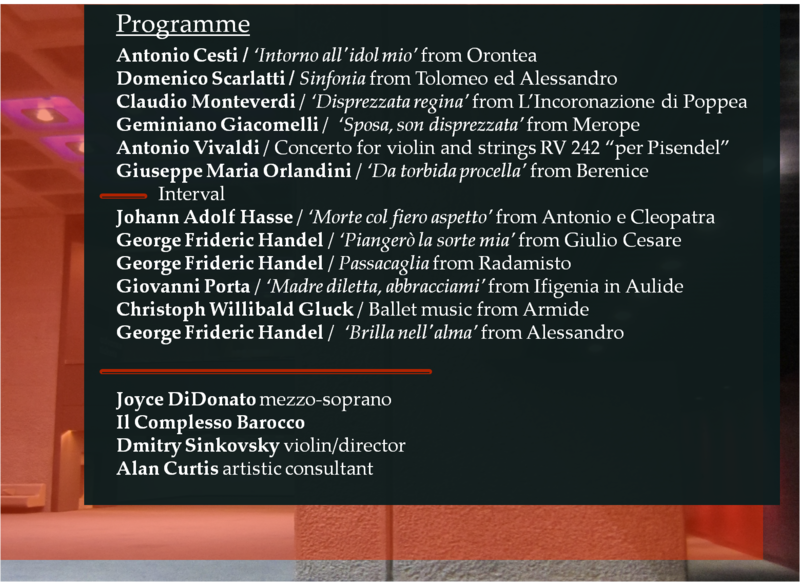 Of course when one listens to Joyce DiDonato and Il Complesso Barocco’s Drama Queens album it is made obvious that it is a very special project. Not just another vanity vehicle so much loved by record companies but a labour of love and scholarly commitment. Unlike Diva/Divo which left me very cold, this album is a concentrated treatise on fierce signing and characterisation. My only reservation initially was a fear that she may over act and turn the whole concept into a cheap pantomime act. It was a hugely exciting prospect to see Joyce and her band perform many of the arias from the recording and I can say from the start the live experience overtook the studio performance by miles. Sitting at the front row exactly in front of her was an awesome sight. Being able to observe her technique and composure at such close proximity was much more fascinating than I could have expected. The way she paced herself through the programme and preserved stamina was a great lesson for the many singers in attendance. As was her spot-on jaw placement and strong support and projection. Like many great a singer she made it look effortless and yet enveloped a large auditorium in sinuous, flexible and resonant singing. No grotesque facial contortions or being ridiculously open mouthed. She delivered each aria with a strength and confidence that was unflagging. Her first great moment was the aria from L’incoronazione di Poppea where she bellowed from despair to vengeance ending in total defeat but every inch a regal presence. But all delivered with insight and spot on deportment. Her Merope aria was a great example of toned down ornamentation and weaving a narrative with a much more paired down interpretation with judicious use of her wonderful chest voice. The da capo section was a masterclass on how to deepen meaning and to ride the beautifully woven melody to different ends each time. The final aria for the first half was the breathless Orlandini aria that opens the album. Pin sharp coloratura with a great legato line made for a fiery conclusion to the first half. I lost count how many ways she found to sing the repeated alma at the conclusion of every repeat, adding a different colour and nuance every time, seriously antagonising the bright scarlet couture creation by Vivienne Westwood that she was wearing in concert and of course in the album sleeve. The concept of the disc incarnated and made of cloth and thread. The second half was even more mouth-watering and showing a great artist at the top of their game without much in the way of deference or vanity. The opening Hasse aria was a fast and furious intro to match the dress than now had the addition of a capacious underskirt and sleeves, she had metamorphosed into an 18th century aristocrat. A period that Westwood is well attuned to and has used as inspiration for many of her most famous creations. A great example being the Watteau dress in the collection of the Victoria and Albert Museum. The absolute highlight of the evening was her rendition of Piangerò which was short of miraculous. Having the privilege of sitting exactly in front of her gave us such a wonderful vantage point to see her get into Cleopatra. Growing in intensity and dramatic delivery as the aria continues. The da capo section was one of the most astonishing singing I have ever experienced live. The depth of feeling perfectly paired with thoughtful engagement with the text and beautiful ornamentation were stunning. The development of mood and expression of the character’s inner thinking is what baroque is all about and this performance was a masterful embodiment. The more withdrawn aria from Porta’s Ifigenia in Aulide starting on a velvety sotto voce evocation of her mother accompanied with misty eyes was very moving. But ever the professional she never allowed the feelings to overwhelm her, instead they enriched the mood of the singing without compromising the sound or over-sentimentalising. Closing the concert with the triumphant aria from Alessandro was a great move to finish off on a ebullient mood. The orchestral interludes were of an equal standing, the orchestra offering some spirited playing and Dmitri Sinkovsky’s bouncy showman personality was the perfect foil for DiDonato’s warm stage presence. For once we couldn’t accuse the singer of over-gesticulating, Sinkovsky filled that gap with his extravagant bowing (can imagine it could eclipse a lot of artists) here it added effervescence. Their Vivaldi concerto was dangerous and showy, exactly what is missing too frequently from opera recitals. Il Complesso Barocco even matched our diva’s outfit with their own red socks…a little touch that gave us all a bit of a giggle. Three encores followed (Fredegunda : Lasciami Piangere + Berenice : Col Versar, Barbaro, Il Sangue + Armida : Vedi, Se T’amo… Odio, Furor, Dispetto) and responding to my interval tweet of my view of the stage she surprisingly asked who was the guy from the middle of the front row that was tweeting. I have to admit to been very surprised but totally charmed by getting a shout out by the lady herself. Next time we will see her in London she will show up submerged in a water filled museum case on the set of La Donna del Lago at the Royal Opera House and I surely can not wait. This co-production of Aldeburgh Festival with the Barbican and the LA Philharmonic only opened in Suffolk a month after the death of Maurice Sendak, making it feel as the definitive end to this long collaboration with Oliver Knussen. 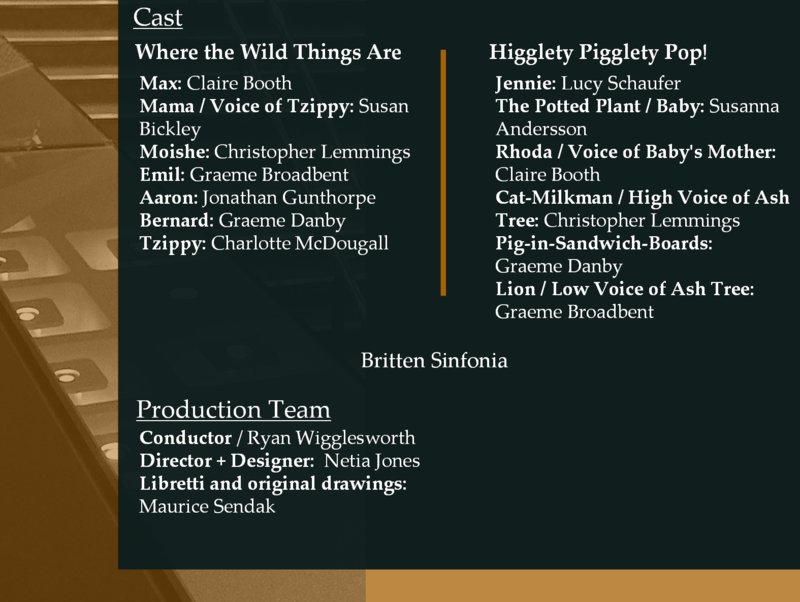 Having Netia Jones on board gave the production values a welcome lift and interestingly moved the monsters in Wild Things permanently on the screen allowing the Max of Claire Booth free reign on the raised stage platform behind the Britten Sinfonia to jump and writhe to roll and to crouch, while singing with clarity and childish enthusiasm. The score is a bright, colourful quilt that boisterously illustrates and suggests the action. He included an overwhelming percussion section adorned playfully with cow bell, wind machine, glockenspiel, maracas, wooden clogs and a balloon waiting to be popped when the frumpy Mama of Susan Bickley showed up with a menacing vacuum cleaner. I can only imagine how impressive it would seem to young ears when, for instance, the antiphonal clanging announces the arrival of a scary lion. This production avoided naff monster costumes and instead opted for Sendak’s well crafted drawings as an animated projection. Affording it a much sleeker look and enhancing its appeal to the demanding young fans and the many adults present. Knussen’s boisterous score is full of mischief but found the quiet moments that shine brighter. The particularly mesmerising quiet passage when Max boards a boat in scene 3 full of textural effects suggesting the sea journey ahead was a great example of the atmospheric writing. I have to admit to finding Wild Things much more difficult to get into; feeling that Knussen went too heavy handed in the orchestration, at times being rather shouty and attention seeking. The animation on screen was spread across the whole screen, simulating the double spreads of the book with a separate booth at stage left looking like a standing book, becoming the home of the singers that voiced the monsters on screen. Unfortunately during the first opera the Barbican’s speakers picked up some interference marring the more quiet passages with intermittent buzzes. The second half was a much more pleasurable and more evenly produced piece. 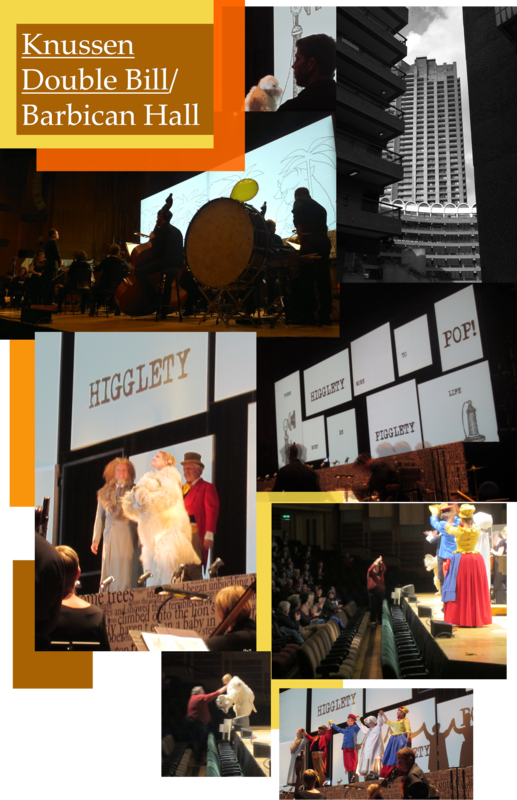 Knussen’s score for Higglety, the direction and Sendak’s delicate black and white line drawings were in perfect harmony. The projection screen was now split in nine sections allowing for a more dynamic projection and somewhere for Jennie the Sealyham terrier to hide and interact with more spontaneity and dynamism. Lucy Schaufer was a wonderfully devoted and thoughtful presence and with the right amount of doggie spark. Her singing and acting in what must be a very heavy and warm shaggy dog costume was superb. Susanna Andersson made for a very loud, funny and churlish baby, a great antagonist to Jennie’s calm resolve and searching personality. Again Sendak’s story presenting a dog in a state of existential angst is not the most obvious subject but alongside the flowing score, full of whimsical quotations was intriguing. It’s both a memorialisation of his dead dog and an interesting reverie into the interplay of the mundane and the fundamental. The orchestral textures were simplified in comparison to Wild Things allowing his invention to shine through unadulterated and strong. The final scene at the World Mother Goose Theatre introduces much needed colour in both the illustration and the costumes, finishing the work with a child friendly repeat of the performance of Higglety Pigglety Pop! Can only imagine how daunting it must be for Ryan Wigglesworth (like Knussen himself, both a Conductor and Composer) to conduct those two operas with the composer present. He contributed a thoughtful programme note, which can be read here. Both he and the Britten Sinfonia produced an admirable flow and ebb for both pieces, their specialisation in contemporary music evidently helping them along and generating spark and excitement. It was a very moving evening and it was wonderful to see such a dedicated on stage team making the two quirky fantasy operas shine and Knussen obviously proud of the result with an audience that was deeply reverential and grateful. The ingenious staging with live controlled animation was a masterstroke and hope this production will have an afterlife in other venues and continents. It’s an unusual situation when both the conductor and the tenor have pulled out of a performance of The Dream of Gerontius but when one trades Andris Nelsons for Edward Gardner and Toby Spence for Robert Murray the issue can be overcome. Haven’t heard the CBSO for some time and was impressed with the dark sound of their playing. For anyone used to the luminous string playing of the LSO or the New York Philharmonic, this orchestra is a different beast. It has almost a Germanic depth but with a much more earthy feel. A sound very appropriate for what is for English music the equivalent to an oratorio. The orchestra played with vibrancy and concentration under a very energetic Gardner. All three soloists gave a convincing portrayal and I must single out Sarah Connolly who despite the onset of bronchitis she did not cancel. Seemingly we are always happy to bash artists for not showing but very rarely we applaud the majority of hard working musicians that show up for work despite health problems. She had a bit of a raw edge to her delivery to start off with, but soon settled to the creamy full throated sound we know too well. Her Alleluia rang across the auditorium, the Angel that Elgar wanted had arrived. Robert Murray offered some very sensitive singing that was very touching. His dying Gerontius was a terrified mortal awaiting judgement, the liberated soul turned into a different beast altogether a much lighter, searching personage showed through. His final descent into the purgatory was portrayed as a devastating blow. James Rutherford added the much needed gravitas and darkness and offered solid grounding to the ethereal music. The choir was exceptional in their tonal variety from the heavenly sounds of the opening to the terrifying chorus of the demons flanking the descriptions of the Angel guiding the soul of Gerontius. The slightly bizarre god fearing tendencies of the text are not maybe the greatest poetry to set to music, but Elgar’s treatment is an interesting solution to a very old problem. The vitality of the some of the music is unlike a lot of his more routine work and when performed with as much panache as from the forces of the CBSO it becomes much easier to ignore any textual failings. 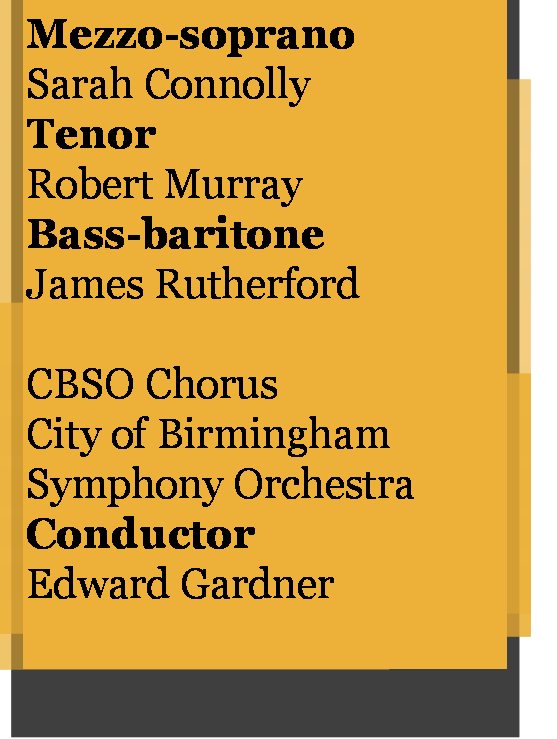 PS Sarah Connolly is scheduled to perform in another Gerontius on 26 January 2013 with the London Philharmonic, conducted by Sir Mark Elder at the Royal Festival Hall in London. Another night, another concert. But of course when that orchestra is the LSO and under the direction of Sir Colin Davis things are far from just routinely chugging along. The programme itself stretching from Haydn’s Symphony No 93 written in 1791 to Nielsen’s Symphony No3 written in 1911 via Beethoven’s 5th Piano Concerto has to be one thrilling ride through over one hundred years of European music. The orchestra managed to create three distinct soundworlds as befitting the range of moods and sensitivities of each composer. Proving that the orchestra hasn’t got an auto pilot like default sound but is flexible in reflection to the wide repertoire. My joy at modern instrument orchestras playing Mozart and Haydn is not exactly secret. I totally hate period ensembles that have robbed the balls off these wonderful compositions and give them a half life on stage complete with crude horns. 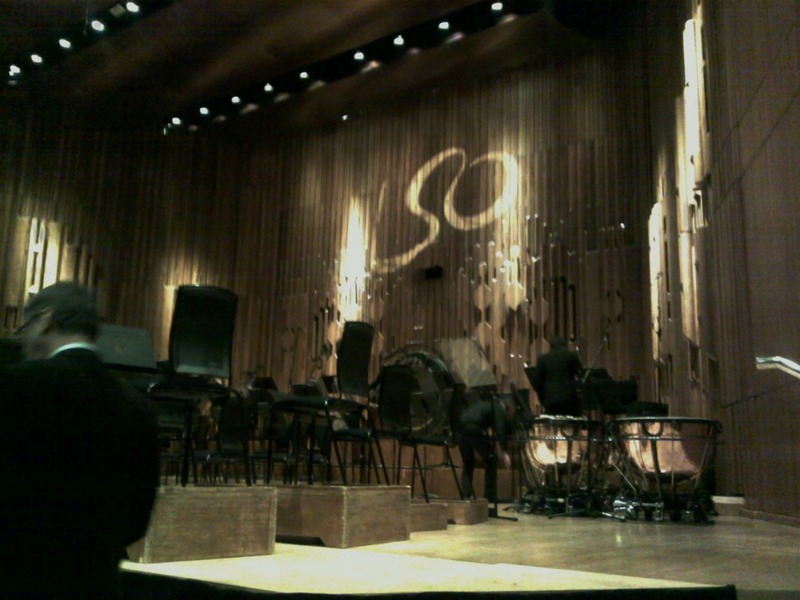 The LSO under brisk but seated Davis gave us a focused sound that took in its stride the playfulness of Haydn’s writing and created an elegant edifice that never became self indulgent or academic. The teasing pizzicato playing connected it directly to the Nielsen, despite the huge differences in sonority. When he demanded Allegro, he got a dancing response from the players and when the Minuet arrived, the teasing exchanges between winds and strings made this a feast for the eyes and ears. The feeling in the auditorium was of celebration and the genuinely thunderous applause sealed the deal. For the Nielsen Symphony the LSO gave us a much more dry sound, not as lyrical to start off with, almost giving a modernist very Nordic sound to the first movement. The soundscape was as expansive and beautiful as one would imagine an evening would be at a cold abandoned beach in Denmark. The pizzicato of the strings against the reedy and evocative sound of the piccolo created more environmental images in our heads. Sir Colin, surely drove the brass to play with emphatic pride but avoided at all costs Mahlerian hyperbole. The Andante Pastorale of the second movement did drive us more into the Danish countryside that was the formative influence in so much of Nielsen’s writing. 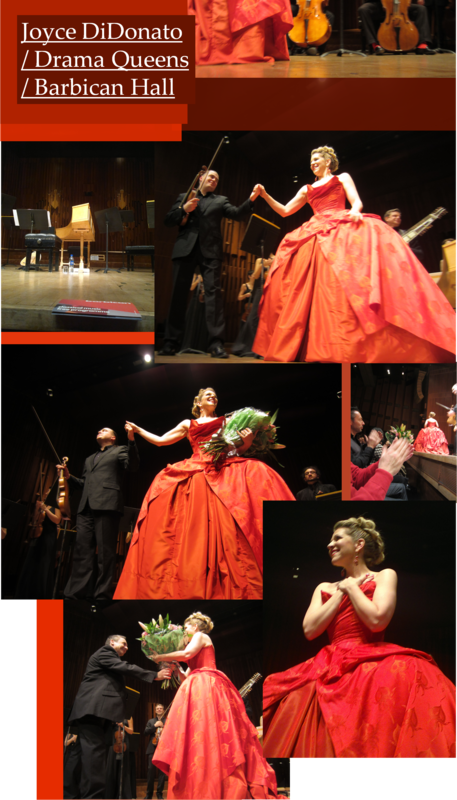 The soprano (Lucy Hall) and the baritone (Marcus Farnsworth) were placed amongst the members of the orchestra, the tremolo of the strings providing a filigree backdrop for their vocalism. The closing movements were a triumphal mix of stillness and urgency. The finale was so rousing as to have a resounding and very loud bravo! echo even before Davis put his baton down. He was called back to the stage three times in a wave after wave of applause. After the interval we were treated to a performance of utter sophistication and unapologetic beauty. Mitsuko Uchida does not need introductions when it comes to playing Beethoven or Mozart; she is a specialist per excellence and has been in demand for over 30 years. But despite her considerable pedigree I was totally thrown by the brilliance of her playing and the obvious rapport with Davis and the orchestra. When the three of them meet live, something very special happens, the chemistry is unmistakable. Her playing over all was a perfectly judged balance of assertiveness and sweetness. She did not bash her instrument like a mad woman just to show she can play loudly, but she used the full range of colour it provided her with and indeed was not afraid to give Argerich like arpeggios at full tilt. Dressed in yellow gold trousers and top, with a transparent cornflower blue organza jacket, she obviously enjoyed listening to the warm elegiac sound of the LSO as the accompanied her, crossing her arms in approval while bobbing her head to the music. She gave a unique sense of mystery to the first movement, almost as she knew a secret Beethoven whispered in her ear, but did not want to reveal it to us, but wanted us to keep on guessing. The Adagio had the fluency of one would expect, but with an almost vocal line…it would not have been out of place if she started singing alongside the very lyrical, attentive playing she gave us. Such was the sweet caress by her that when she introduced the opening theme for the third movement without a break, a few people around us jumped at the sudden change. Again the dialogue between orchestra and soloist was captivating. The warm and totally idiomatic sound of the orchestra created the perfect backdrop and contrasting material for all the variations on that one triumphant theme she played again and again. Every time with a new voice, every time with a new dialect. This was the summation of the careers of two great musicians and an orchestra at the top of their game, truly exceptional. When a lot of capital cities would have nothing more to boast on a Sunday evening, than an episode of a reality TV show (and amusingly it was the final of the UK X Factor tonight) London can offer an almost sold our concert hall with an amazing cast of musicians playing from the heart. The same programme is repeated on Tuesday 13th and will be broadcast live on BBC Radio 3, if nothing else do tune in! There aren’t many orchestras in the world that can claim to have been around when Beethoven was composing his Symphonies, the Gewandhaus can and surely has one of the most enviable pedigrees in the business. Since its foundation in 1743 it has been a mainstay of orchestral playing in Europe alongside The Vienna and Berlin Philharmonic orchestras. One goes to one of their concerts with high expectations, especially when they are playing two Beethoven symphonies in one evening! 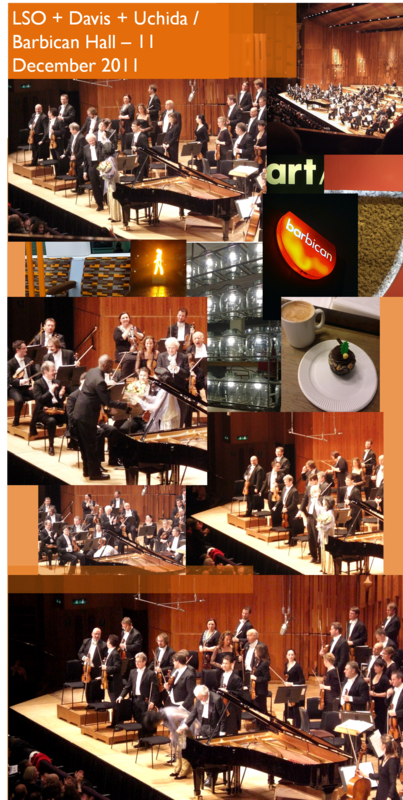 This was their third concert at the Barbican as part of their full cycle of Beethoven Symphonies as a promotion for their set released by Decca last week. The recordings have been (as usually the case with Decca) overhyped and created pent up anticipation in the smallish orchestral loving circles. When I was growing up the two complete Beethoven cycles I owned were the Karajan/Berlin Phil and the Sawallisch/Royal Concertgebouw. Those Symphonies seemed the pinnacle of orchestral accomplishment, they were big and bold. Surely as impressionable 12 year old I embraced the excitement and grandeur. This symphonic cycle is like no other, it shaped the very make up of symphony orchestras that we listen to today. And became the early war horse of nascent record companies trying to sell records for the gramophone. Intriguingly in you search for Beethoven Symphonies you get 2956 results in the database of back issues of Gramophone Magazine. So when a new set comes out, there is a long and hard discussion of the treatment of this Mount Parnassus of music making in minute detail. Chailly’s cycle has caused some disquiet as he has elected to use the original metronome values, away from most established performance practice that deems them too fast. So I chose to go to the concert that contained a mature work (No8) and his most prominent slow movement (the funereal march in No3). Would the speed ruin the atmosphere of the No3, would the sprightly No8 sparkle? The audience reception was very warm at the start of the concert, with thunderous applause for the maestro. Being on the second row from the stage I was rather alarmed by the amount of patent leather on show, the players of the Gewandhaus do dress traditionally in dark grey tails or black ensembles for the ladies. A world away from most British orchestras, but then this is the oldest orchestra in the world, we’ll allow them to hold on to their old fashioned garb. I was very happy to read about Chailly including contemporary compositions to their Beethoven programmes, after all they championed Beethoven’s compositions when they were only months old. So it was appropriate and it paid off, Colin Matthews’ Grand Barcarolle had affinities mainly to Symphony No3, when it came to the mood it portrayed. It had some exquisite string passages that enveloped us gently and made a great opener before the main event. The composer looked very moved and thankful to Chailly and the orchestra and I can imagine very few higher honours than having a composition played by these wonderful players. Symphony No8 displayed in abundance the wonderful woody, centre heavy sound of the orchestra. They surely have an individual sound. Being used to great effect when floating between Beethoven’s intermingling themes and variations. The pomp and romp of the second movement was brought almost to an operatic finale, a truly exceptionally vibrant and alive reading. An interesting manifestation of the relationship between the Italian conductor, his fiery personality and the considerable heft of this historic orchestra. This symphony does give a great insight into Beethoven’s mature writing, with great attention to woodwind and seamless orchestration of the different incidents into a satisfying, uplifting whole. Listening to it one can feel his excitement for this amazing instrument (the orchestra) and using it’s chromatic and dynamic variation to bring light and shade into a coherent inspiring union. The feverish finale was exciting (especially if you weren’t looking at some bored and immobile people in the front row). It built up the expectation for the second half. Beethoven’s Eroica, is one my most favourite works, especially the deep sadness in the funereal march with its haunting horn led theme. So was slightly worried if the majesty and poise of the march would be preserved. The first movement indeed had a lot of brio and the string playing was open but not too overindulgent and glistening. When the second movement started the hushed beginning was fluid and had all the empathy and weightiness one would expect. Chailly’s conducting was trying to bring out the intricate detailing of all the ornamentation, bringing into sharp focus all the characteristic small conversations between orchestral sections that is so typical of Beethoven. I’m sure some people may find that very detail focused playing to be a distraction from the painful core of this movement, but I was won over and seemed like a great way to add more verve to this movement that can so easily sag into a mournful mess. The shaping and flow were electric, goose bump inducing to the max. The next two movements were again beautifully played and I’d call them a ballet for my toes…which jumped around and tapped around my shoes in tune to the forward, energetic playing and the maestro’s own dance routines 😉 Surely not a dull moment during those movements and with a tight focus on the mood and overall structure. Have to say at times the brass seemed a bit too hot but that has to do more with the acoustic of the hall and my proximity to the stage. Now I can’t finish this small report without mentioning the relationship between Riccardo Chailly and the Gewandhaus. The orchestra was totally obedient, well rehearsed and clearly responding to Chailly’s exuberant, physical way of conducting. Every pizzicato note was clearly articulated by his baton and the players became an extension of the maestro. In many ways a very old fashioned way to conduct business but it really works. As Chailly has a much more fiery temperament than the orchestra, when they come together it’s a beguiling, verging on the intoxicating, combination. Can’t imagine anyone at the Barbican being left unmoved by some of that magic, despite any disagreements on the fast tempi. Who said those symphonies were the domain for grandiose statements by 80 year old conductors building a legacy. On Tuesday night those two works were played with commitment and freshness, despite the fact this is their fourth full cycle in the last few months. Now I’ll be chomping through the recorded set and see if their sound has been captured in all it’s fullness. It must be a great time for a new generation to fall in love with this orchestral staple. Having a lovely hot daal at the Barbican Food Hall and getting ready for some fast and furious Beethoven! Wow Chailly's tempi are pretty wild, but No8 sounded fresher than ever! 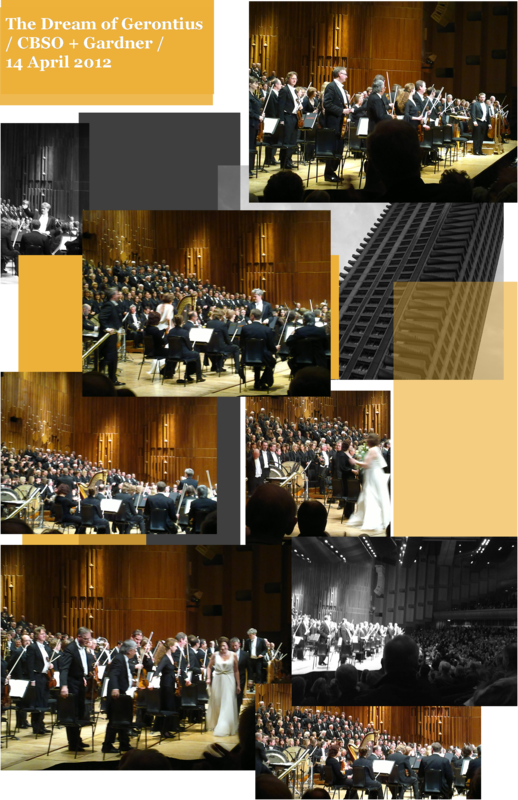 @Gewandhaus @BarbicanCentre Absolutely fantastic performance…someone buy maestro Chailly an isotonic drink, he was so vibrant! Tonight’s Ariodante concert performance at the Barbican’s sold out Hall made me wonder of the consequences on booking great singers and then letting them down with a really sloppy orchestra. We had Joyce Didonato, Karina Gauvin and Marie-Nicole Lemieux on the podium and somehow feel cheated that such amazing singers were short-changed and did not get the backing they deserved. Il Complesso Barocco should be ashamed for give us badly tuned, bland music making while observing dubious tempi in quite a few passages. 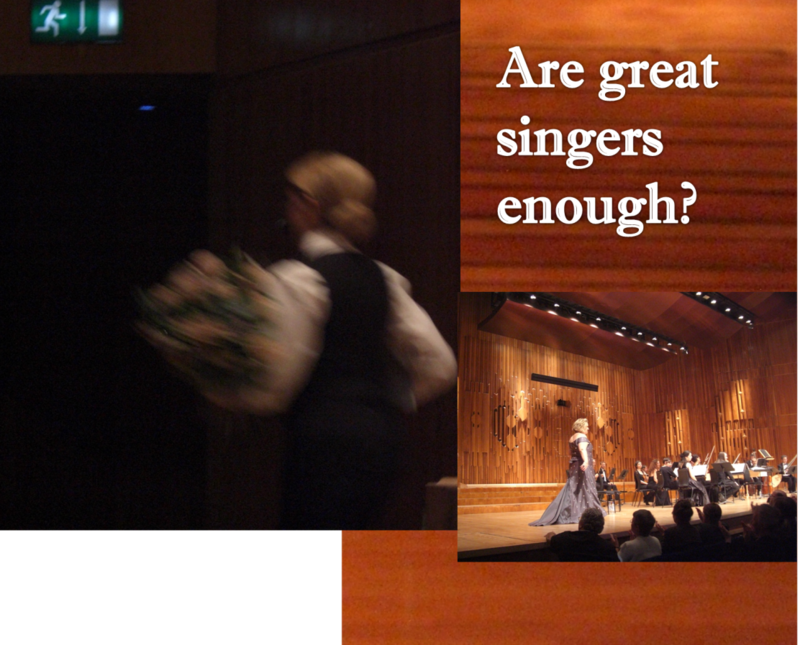 The great singing thankfully soared despite the music…a statement I never thought I’d make for any opera by Handel. Will elaborate in a further post but for now I wanted to get out there my frustration about a missed opportunity for an amazing evening that somehow did not materialise. My knowledge of French opera is at most rudimentary, and never had the time to tackle Pelléas et Mélisande head on before. Unfortunately due to my bad planning and awful London transport I was too late for the start so let’s pretend that Act One never existed. Also I would not recommend to anyone to be late if you have second row tickets…got a grumpy look from Simon Keenlyside as we sat down! I had listened to numerous excerpts of the opera and always found the expansive soundworld of Debussy to be interesting and compositionally accomplished but never quite grabbed me like much of Italian opera from the Baroque to the 19th century. So I knew the only way I’d sit down and listen to the whole opera would be a live performance. After seeing the cast I booked my tickets almost a year ahead and the journey started! From the first bars of the Act Two it was very clear that Langrée and his Parisian forces were totally idiomatic, their soundstage was wide and enveloping the textural detail was there and the string playing was creamy and flowing like the many watery references in the work. A nice touch was how Langrée was almost singing along with the singers reciting (silently) the libretto alongside the performers he was queuing. What seemed a bit strange was that Dessay, possibly the most famed singing actress of our time, was almost immobile and seemed almost attached to her score. There were glimpses of acting, like in the scene where she drops the ring in the well and her conversation with Pelléas was full of warmth and familiarity which accompanied with Keenlyside’s ardent boyish acting and Dessay’s radiant forward projection it was a marvel. But when the question of Pelléas by Golaud came about Naouri stole the show with vibrant acting that seemed natural and emotionally involved and his singing was as accomplished. I particularly enjoyed how he used the page turning of his score as a way to express the turmoil of his character while questioning Pelléas about Mélisande. He was also wonderfully naturalistic in his interaction with Yniold, being at times tender and at times very harsh and investigative. Khatouna Gadelia is one young soprano to watch out for, she showed a fresh tone, beautiful diction and vibrant dramatic qualities. In Acts Three and Four Dessay gave us a beautifully sang heroine reaching the end of her life with a tragic but at the same time a breezy resignment. Her declaring I’m not happy to Golaud was emotional and beautifully sang which made her apparent over-reliance on the score all the more annoying as her singing was delicate and powerful as needed for the part of the romantic heroine. Of course what stroke me in quite a few places was the banality of the libretto, especially some of the metaphors looked even worse in translation e.g. water in a muslin bag comes to mind. Of course Italian libretti are full of silly references and bizarre plotlines but at least they are saved by the melodies within the score, they have key arias that lift the work. 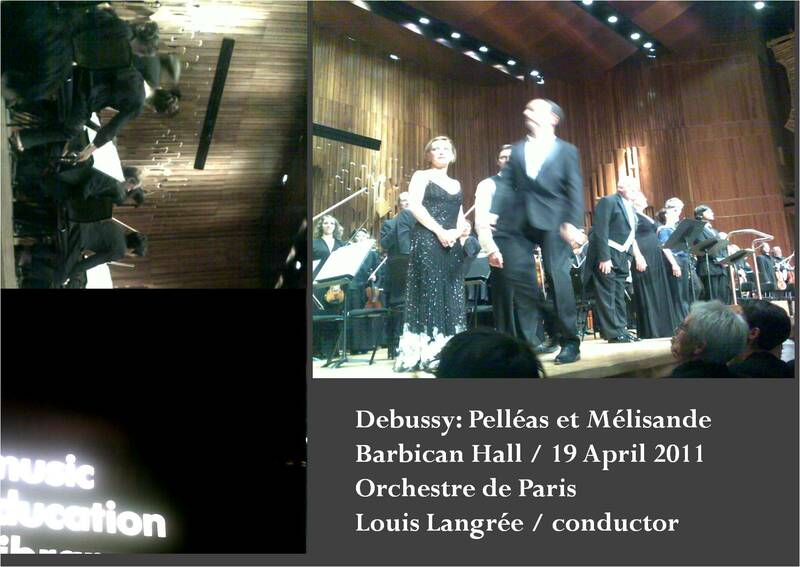 With Pelléas et Mélisande there is no such respite, which in part is a credit to Debussy’s boldness and in the other hand it can be suffocating during a live performance. The very lushness and enveloping nature of the score is not to be underestimated, as I tellingly Tweeted about it, it reminded me of a wall to wall plush carpeted London semi. And that I was more of a floorboards kind of guy (which is totally true by the way). It seems that the me and Claude will not get along too well for sometime but it was a great experience that I wouldn’t want to repeat to soon. But dear patient reader that has nothing to do with the quality of the performance as this was a wonderful cast with the exception maybe of Alain Vernhes who was underpowered against the enveloping forces of the orchestra, that may have to do with the conductor not being too attentive and keeping the playing at lower levels of volume. And a truly excellent and idiomatic orchestra it’s just me and Claude will have to talk over our differences in the near future and maybe some rapport can be built. And of course it was charming having the orchestra playing Happy Birthday for Natalie Dessay with all of us singing very badly to it. And also odd having a member of the audience four seats away booing rather violently Langrée at the end of the performance, we were all puzzled at his reaction, but hey, clearly Debussy affects people in totally different ways, at least he didn’t fall asleep! I also regret not seeing Lemieux perform in Act One as I can imagine she would have been sensational. I’ll have to wait for her next performance at The Barbican with Joyce Didonato in Ariodante which will have to be one of the highlights of this year! Here is the link to Fiona Maddocks’s expert review of the same performance: Click! It has been years since I’ve seen Simon Rattle live and a year ago bought a couple of tickets for tonight’s concert at the Barbican. It was the perfect opportunity to avoid the noise and promo madness of his residency with Berlin Phil and to see him again with the wonderful LSO. 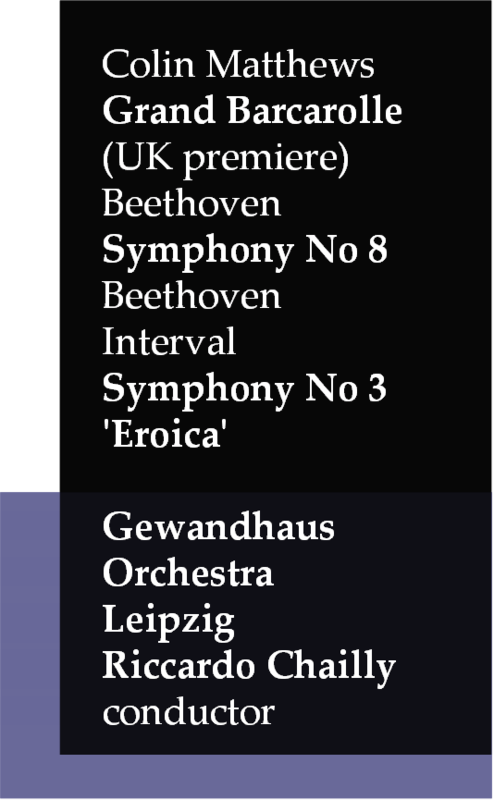 Of course a major positive was the lack of Mahler from this programme, he just bores me witless (have promised myself to have another go at the old man when I turn 50…in 17 years, ‘nough said!). The Messiaen was a bold bit of programming and a touch of Rattle’s genuine love for contemporary music that has been his calling card for over thirty years. This particular piece was tough loving for the audience, but in my view a very good way to start the evening. Having the woodwinds, brass and percussion of the orchestra blaze through his undulating angular forms was a joy. Rattle managed to find beauty in the unconventional rhythms the composer provided him with and the players of the orchestra responded with panache and precision. 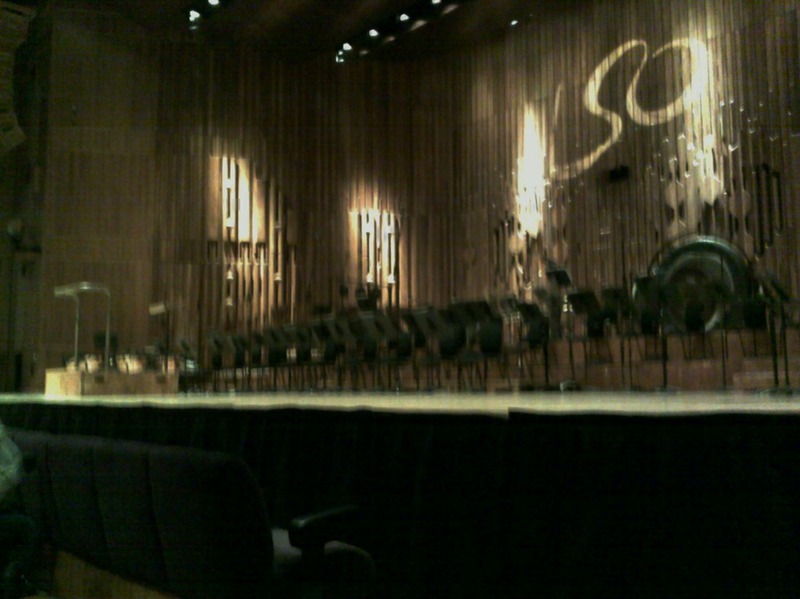 The crescendos in parts 3 and 4 where verging on the deafening from the second row of the stalls that we were sitting! 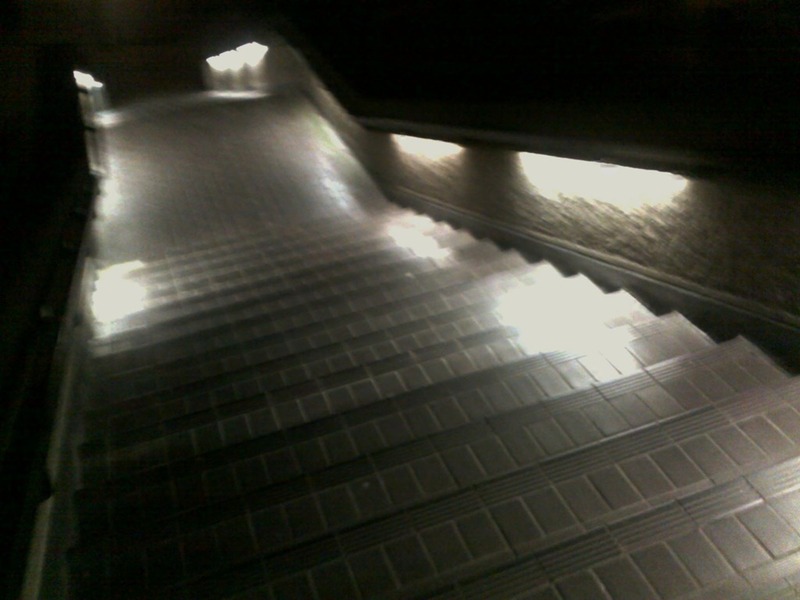 But it was almost an aural cleansing preparing us for the wondrous architectural greatness of the Bruckner. It was quite funny watching members of the orchestra shielding their ears during those loud, exclamatory percussion laden concluding segments. And despite any technical hair-splitting, which I’m the least qualified to do, ( I tend to judge live performances on the strength of the visceral impression they make) I can say one thing about the Messiaen, it surely gave me goose bumps as the last movement was reaching its climax. It was powerful and some of his spatial/sound effects where brilliant and in a way reminded one that the composer’s main occupation as a church organist. Now if we could grab the LSO and drag them into an ancient cathedral the sights and smells of the place would surely enhance the mesmerising effect. I came in after the interval fearing that Rattle would go for overtly slow tempi (which it seems to becoming a bit of a problem for him lately) and make the Symphony drag unnecessarily. I shouldn’t have done, my partner actually mentioned how lively Rattle was at the podium and indeed his timings were brisk. 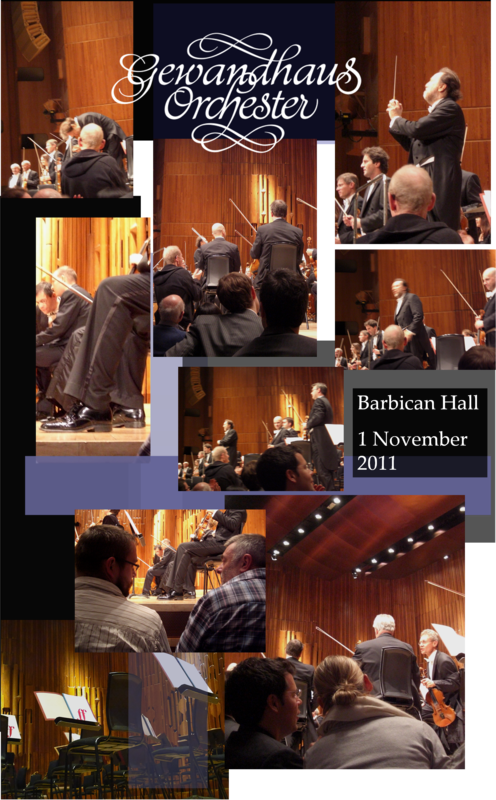 In the first movement his emphasis on the individual phrases was impressive, the very good acoustic of the Barbican really helped him to sculpt the sound around quiet melodies and the silence in between incidents. His approach may not have been in the same line of enquiry as Bruno Walter or John Barbirolli who emphasised the overall structure of the Symphony. Rattle added his personal touches to it that made it an emotionally charged testament by a conductor that feels at ease with the material and at home with the Orchestra. For me the star of the show was the second movement. Where Rattle brought out the dance aspect of the music, his treatment of the trio was bringing up memories of Stravinsky’s ballet music, it was fun and powerful but at the same time very elegant (the luscious string playing was magical) . It was a surprise for me and an interesting contribution in the middle of a very grand orchestral edifice (the piece, after all requires a 107 member orchestra!) . Rattle allowed the formality of the piece to come though but at the same time little charming incidents throughout were given space to develop and transport the listener. When people ask why is Rattle a special conductor it’s a night like this they have to experience. The playing he extracted from The LSO may not have been totally faultless but it was arresting and with a humane, beating heart in its middle. 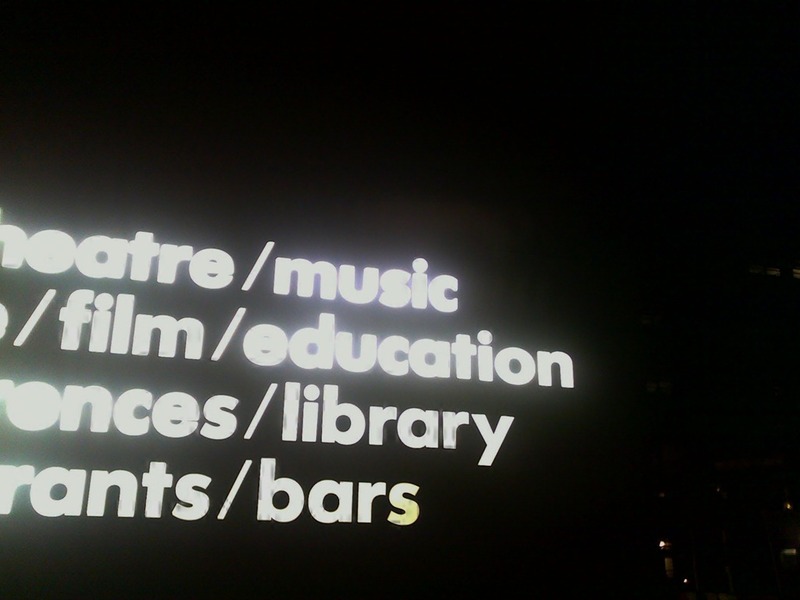 It’s what great music should do, it should be perfect escapism but at the same time excite the spirit and the senses.